Hey folks we told you before that Apple is helding an event on March 2nd 2011 and it will be revealing iOS4.3 and iPad2. 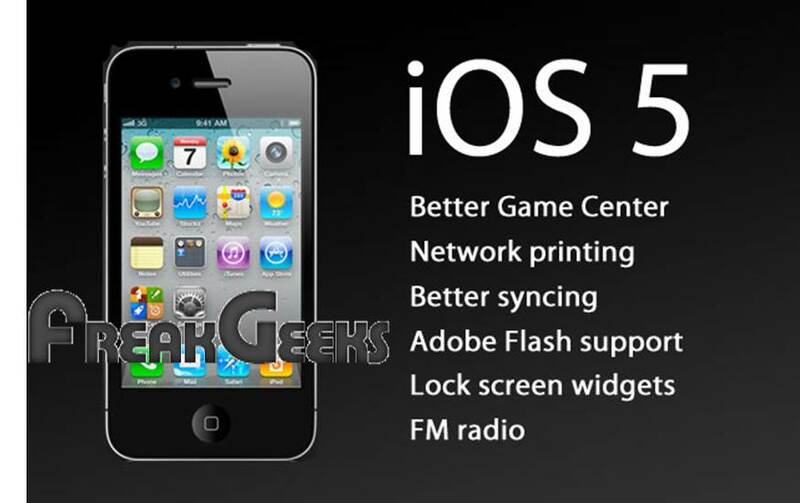 We know about that but what we don’t know about it is iOS 5 and no one ever expected iOS 5 so soon. This doesn’t means that they will be releasing the iOS5 but they will be discussing about the iOS 5. It’s also almost guaranteed that we’ll see the next version of iOS (number 5 in all likelihood, along with its SDK for devs), and an expansion of Apple’s cloud services (that part is a little… foggy right now). Of course, that will perfectly set up Apple’s announcement of the iPhone 5 in June, which is when iPad owners can likely expect to be using the new software. Regardless, we’ll have the goods come next week, so stay tuned! As far as the iPad 2 goes, Engadget claims that the second-generation iPad will receive a spec bump, with the inclusion of a more powerful Apple A5 processor and 512MB of RAM, along with a thinner design and a front facing camera. According to Engadget, the resolution and screen size on the iPad 2 will remain the same as the original iPad. We’re hearing it’s most likely a thinner, spec-bumped variation of the original iPad with a screen size and resolution identical to the current model. More RAM (512MB) and a more powerful CPU (the A5) are expected as well. It’s also a pretty safe bet the tablet will be sporting at least one camera up front — though if some of those case mockups we’ve seen tell us anything, expect a shooter around back too. Since no information is available on iOS5 although it is expected that a better notification will be implemented in it. We can see many new improvement in iOS5.